pursuing an Artist Diploma and Doctor of Music Performance at Indiana University. 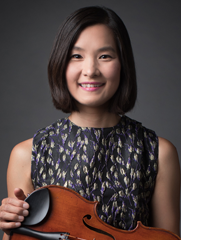 She was the winner of the 1995 Se-Gye Newspaper Music Competition, First Place recipient of the LG Art Center Chamber Music Festival Audition; Third Place winner of the Dong-Ah Newspaper Music Competition, a 2003 Finalist in the William Primrose International Viola Competition, a 2004 Viola Prize recipient at the Kingsville International Competition; Third Place winner of the WAMSO Young Artist Competition; and the 2006 Performance Certificate Winner (Special Distinction) at Indiana University. 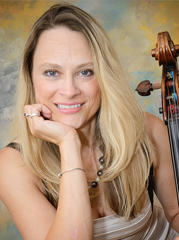 She has performed all over the world and has been a featured soloist for the Minsker Kammer Orchestra and the Kumho Chamber Music Society. 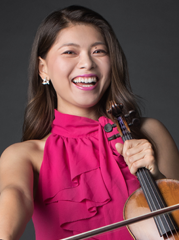 She has performed at Indiana University, where she played with the Dubinsky Memorial Concert-Piano Quartet and the Residence String Quartet, which was honored by Kuttner Quartet Audition. She has been a featured guest with the Young Artists Concert Series in Seoul, Korea and played in the Dubinsky Memorial Concert-Piano Quartet. 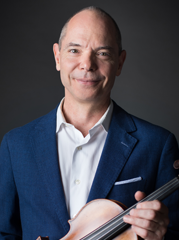 © 2018-9 Peachtree String Qualtet, Inc. All rights reserved.